Lately I've been obsessed with watching all sorts of Youtube videos. From how to pack two week's worth of clothes in a carry on to summer clothing hauls, I've definitely spent a few hours each day learning new tips and tricks. My absolute favorite topic to watch, however, is everything college related. I am a little clueless when it comes to what I need to pack for my dorm, what clothes to all bring, etc. so these videos have been such life savers in teaching me about all things college. I have found a few favorite Youtubers in particular that I have binged on so I thought I would share them with you! I've always heard of Brooke but it wasn't until recently that I really started watching her videos. She goes to the University of Georgia which is similar size wise to my school, so it's interesting hearing her perspective on attending a bigger public school. 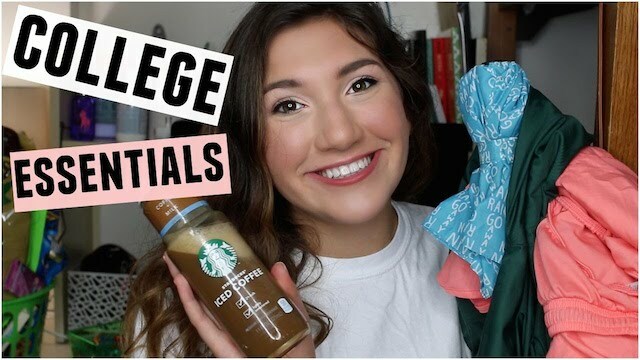 She has such a cute and cozy dorm and gives great advice on rush, what to pack for school, and more. Another new-to-me Youtuber, Meredith is the cutest and attends a smaller Christian school in Nashville. 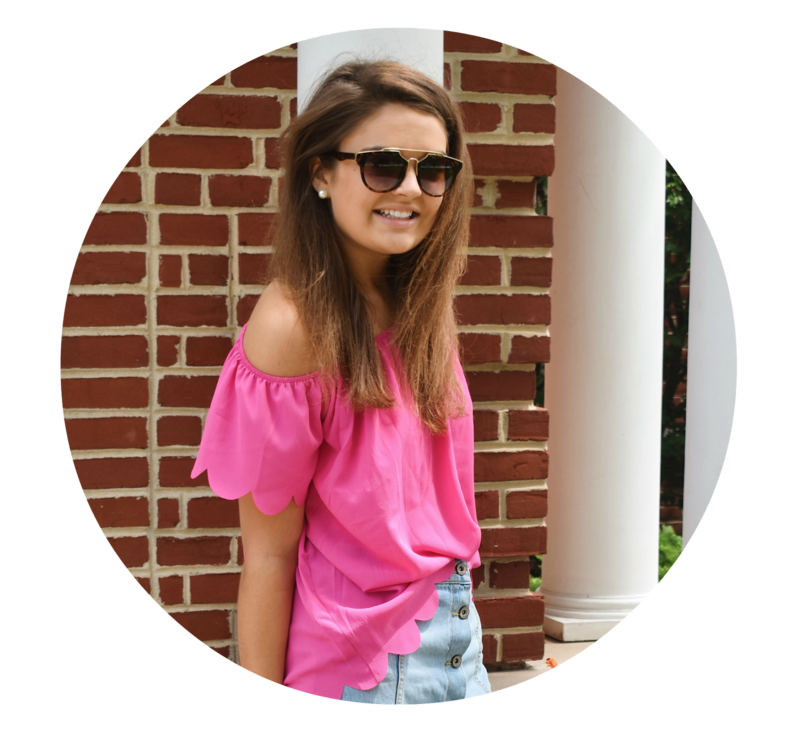 She has probably one of the best dorms I've ever seen (pink and navy galore) and gives such great advice on time management, dorm decorating and organization. I highly recommend! I am a huge fan of Dorothy's blog, Prep In Your Step, so naturally her videos are amazing as well. 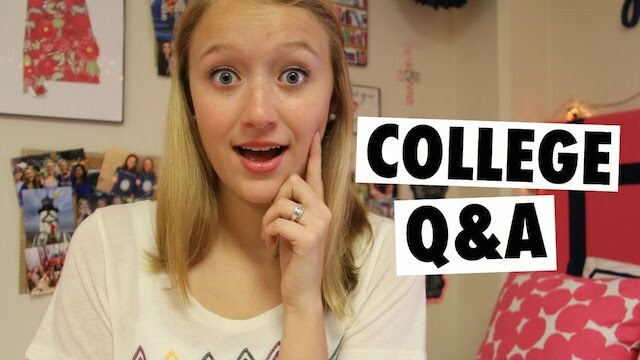 If you have questions about anything college related, I recommend checking out her videos because she has one on every topic under the sun. She's going to be a senior next year so she has 3 dorm/ apartment tours that are seriously so adorable. 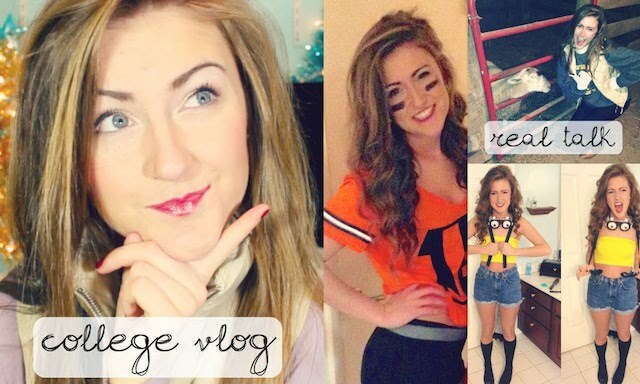 She has a lot of sorority videos as well if you're interested in learning more about that! Sarah has been a long time favorite Youtuber of mine (probably the first one I ever got hooked on!) and her college videos are really fun to watch. I would say she has more lifestyle and fashion related videos rather than organization/ decorating/ tips and tricks, but she's still a great one to follow. Who are your favorite Youtubers to watch? Any I should subscribe to? Caroline you're the sweetest! Hoping to have a lot of fun new video content this summer! Congrats on graduating! Ahh the infamous college videos! I watched so many before I left for college ( I just finished up my first year! ), but what I can say is bring ALL of the clothes you currently wear and everything that you use on the daily & anything you forget, just mail it or go out and buy it haha. Every one is different so don't stress too much! & Congratulations on graduating ! I absolutely love all of these YouTuber's! I know she's not really a "college vlogger" but Alex Garza is another one of my favorites. Her beauty/style videos rock my socks! Love all these girls, I'm in college myself and they're totally relatable! I'd check out hellokatyxo too. Side note on all the sorority videos--they're literally everywhere, and I watched all of them but really, the best thing you can do is just go into it trusting the system. You'll end up where you're meant to be, so try not to find out stereotypes of sororities beforehand!